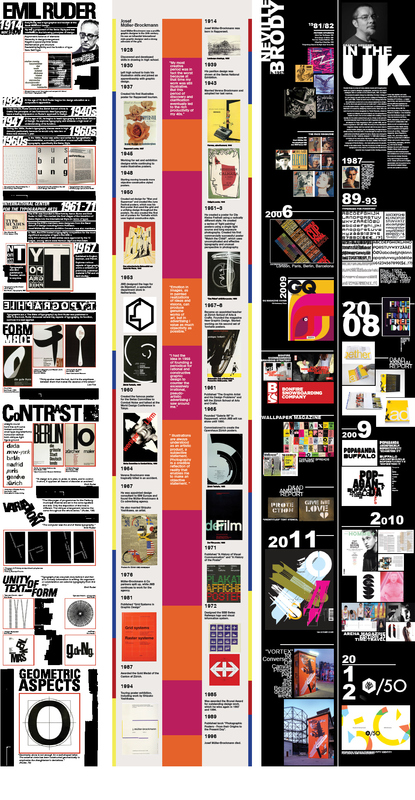 COURSE OVERVIEW // This course introduces students to the evolution of the profession of graphic design as we know it today. Students study the social, political and technological events from the end of the 19th century through to the present, learning the pivotal style movements, artists and designers. Projects were conceived to give students an opportunity to experiment with styles of those they most identify with. For the ‘Timeline’ each student selects 1 artist from the latter part of the century to the 21st century and visually illustrate the scope of the designers work and present it to the class.